consumed 14 milligrams of the vitamin (about 20 almonds) per day and then were exposed to UV light burned less than those who took none. 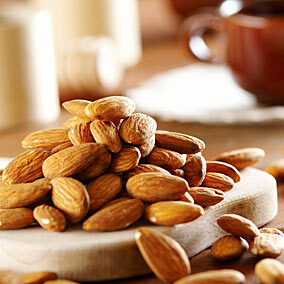 And because vitamin E is an antioxidant, it also works to keep your arteries free of dangerous free radicals. Low levels of vitamin E are also associated with poor memory performance and cognitive decline, says dietitian Sari Greaves of New York Presbyterian Hospital–Cornell. Will post one food every day. So watch this blog!!! !